After visiting the Gurdwara dukh nivaran sahib, I had a chance to enjoy the Baisakhi festival celebration in Patiala, which is known to be one of the most colourful events in the world. I had grown up studying that Punjab, the land of many famous rivers such as Sutlej, Beas, Chenab, Ravi and Jhelum was rich in cultural history and celebrated different fairs and festivals with great pomp, show and enthusiasm. I knew that the festivals celebrated in Punjab were famous for their colour and vivacity. I had spent a fair amount of time in Patiala by then and made some really good friends. They had forced me to participate in the Baisakhi festival and experience the religious fervour and zeal with which it was celebrated. I found out that Baisakhi was just a seasonal event but it was celebrated throughout the state with great vigour. It was organized at a time after the gathering of the harvest as the farmers triumphed for earning the benefits of their yearlong hard work. I learnt that many of the farmers participating in the festival had to walk for miles for joining the merry making but they do not mind that. Dancing and singing constituted most of the enchanting features of the fair as it was a symbol of prosperity. I got to see the original Giddha and Bhangra, both of which were inextricably connected to the festival. 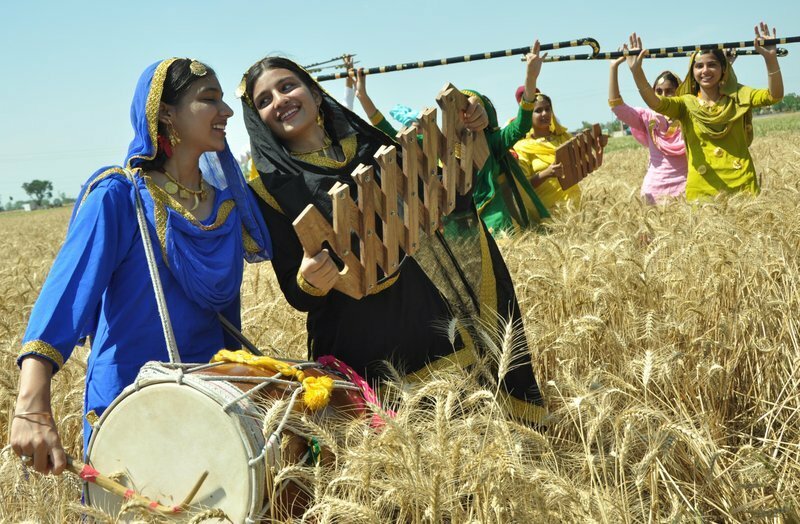 Baisakhi states the start of the New Year for the Punjabis in living in North India and falls in the list of a few festivals in India, which possess a particular date. I went to the different kinds of fairs, which were organized close to the shrines and tombs of pirs. Some of them that I visited were Jarag fair, Roshni fair and Chhapar fair. I came to know that the devout start celebrating the holy day of Baisakhi after using the holy rivers for a dip at dawn. At the end of the day, I thanked my Punjabi friends for enabling me to have a gala time at the Baisakhi festival celebration in Patiala. The best thing that impressed me was that everyone took part in the festival without any discrimination. This entry was posted in Attraction, Travel and tagged baisakhi festival celebration in patiala. Bookmark the permalink. 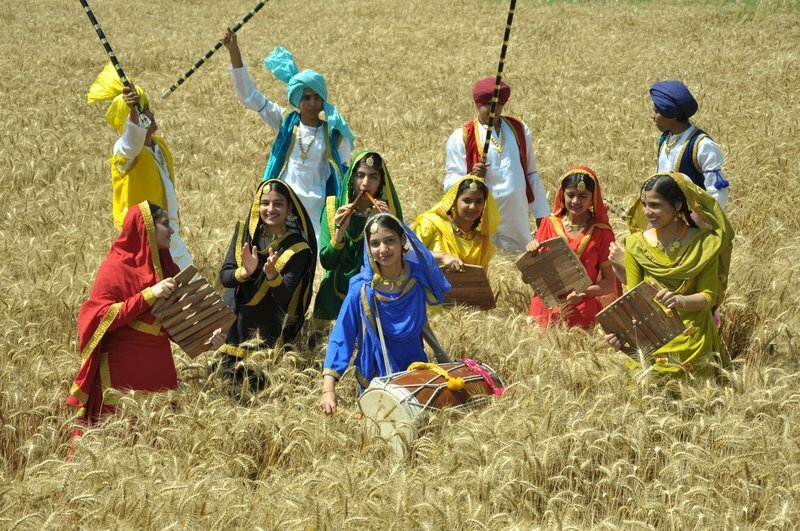 Vaisakhi Festival marks the time for harvest of rabi crops and they celebrate the day by performing joyful bhangra and gidda dance.